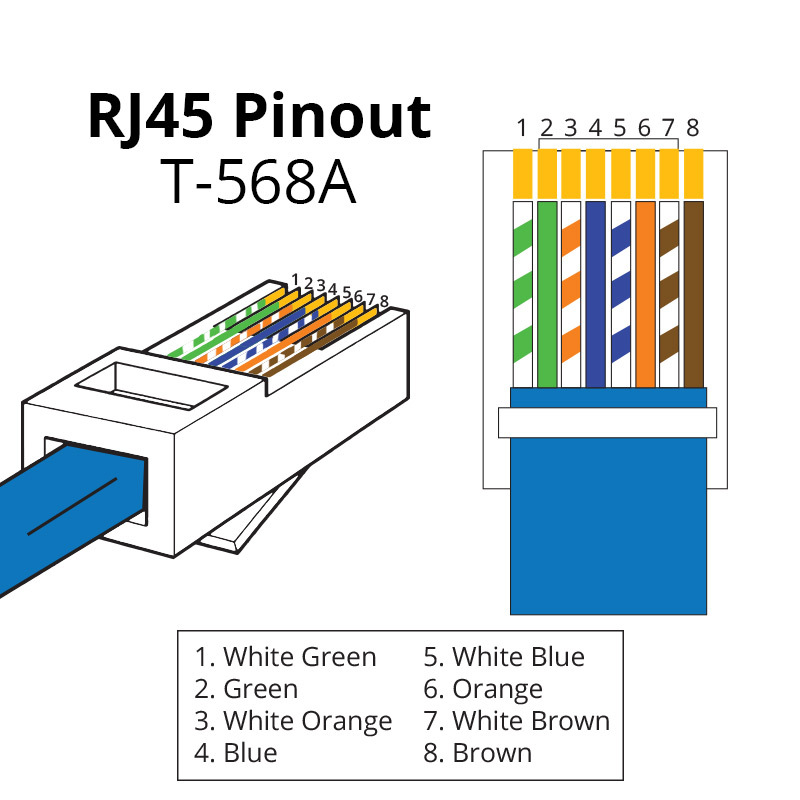 A RJ45 connector is a modular 8 position, 8 pin connector used for terminating Cat5e or Cat6 twisted pair cable. A pinout is a specific arrangement of wires that dictate how the connector is terminated. 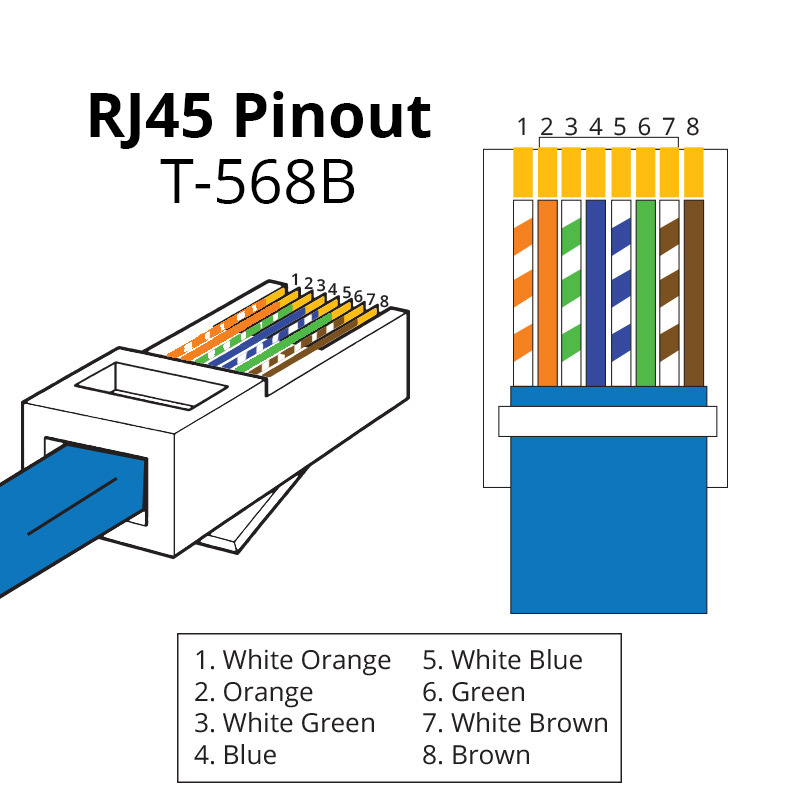 There are multiple pinouts for RJ45 connectors including straight through (T568A or T568B), crossover, rolled, T1, and loopback. Straight through is the most common type of cable and is used for connecting your computer to your network. The other pinouts are for specialty cables that are used for unique network applications. Straight-Through Pinout Within the family of straight-through color codes, there are two standards recognized by ANSI, TIA and EIA. The first is the T568A wiring standard and the second is T568B. T568B has surpassed 568A and is seen as the default wiring scheme for twisted pair structured cabling. If you are unsure of which to use, choose 568B. A crossover cable utilizes two different RJ45 pinouts for the two ends of the cable. 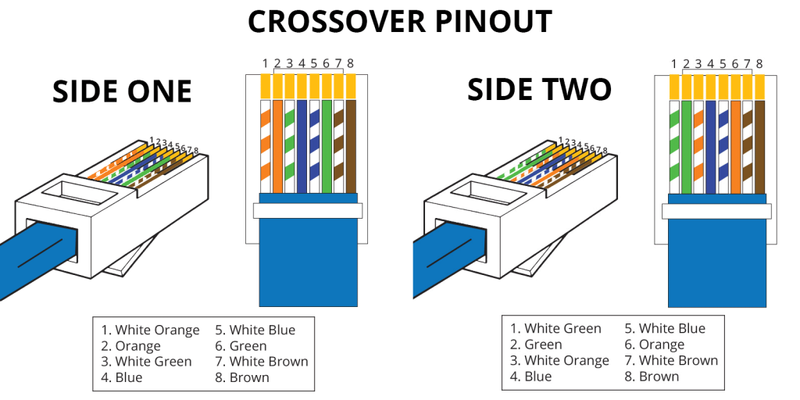 If you need to connect 568A equipment to 568B you can use a crossover cable. What is a “Null Modem” Cable?